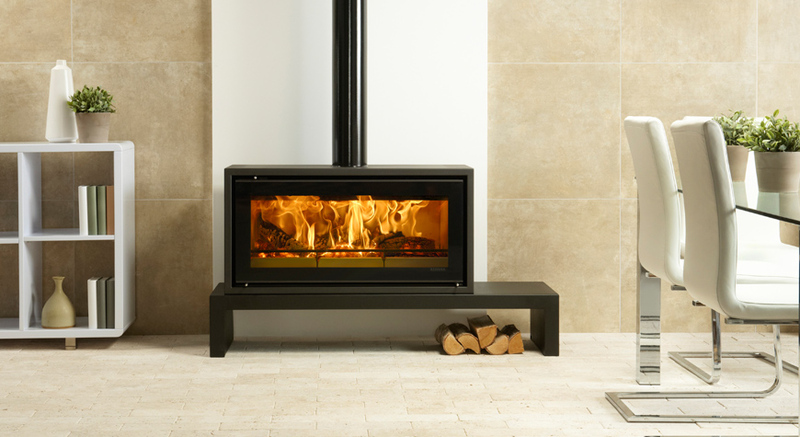 A﻿﻿ contemporary stove unites style, function and technology, to create an efficient yet visually stunning design feature in your home. With so many unique designs available, from stoves built into your living space reaching up to1.5m wide, to cylindrical free standing stoves with one, two or three windows, we can help you find a stove that fits your every requirement. There are even designs that can hang from the ceiling. A cassett stove can be built into almost any wall or opening, and are able to join two rooms together with our many double sided models available, giving a range of architectural possibilities. You can let the flames do the talking with a full view from the large glass window, instantly adding a modern edge to your environment. Ash and Embers have some of the best contemporary stoves available for viewing in our showroom, from leading brands such as Contura, Stovax, Charnwood, Rais and many others. With many live installations, you can experience first hand their impressive impact.